Organized by a group of students including Myléna Jehl and Sara Coulibaly, the FEMFEST festival took place during three days from 17-19 April in Strasbourg. The FEMFEST is a project that aims to raise awareness on feminist theories and to show their diversity and complexity. The 2nd day of the festival was dedicated to feminist theories related to the world of cinema. 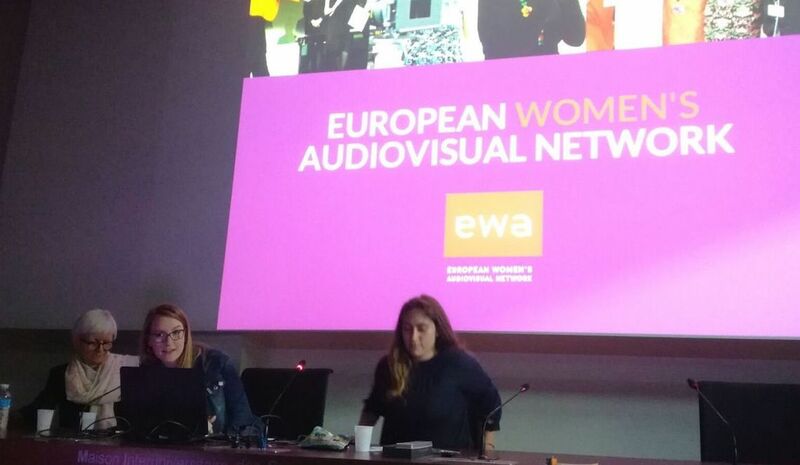 On this occasion, EWA Network represented by Cecilia Johnson-Ferguson was invited to present the results of the EWA Network pan-European study «Where are the women directors in European Film Industry», as well as the activities led by EWA Network to fight gender inequality in the European audiovisual industry. 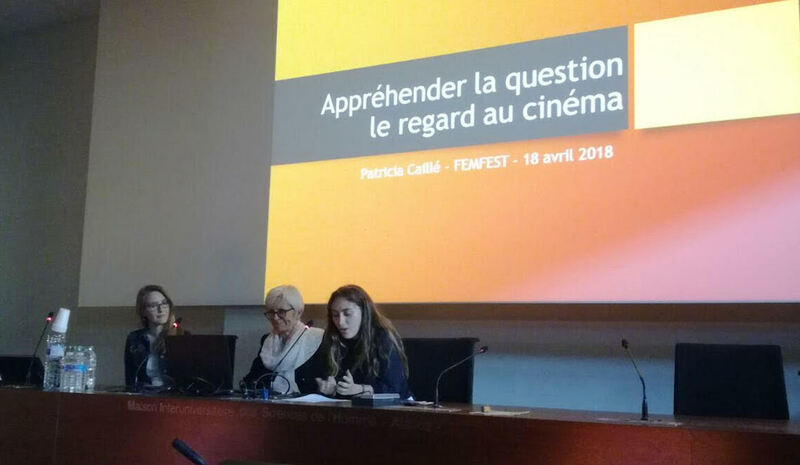 Strasbourg University professor Patricia Caillé presented the development of feminist theories related to cinema, and whether the gender of the person behind the camera can have an impact on the films they direct. Alongside Patricia Caillé, Cecilia thereafter answered questions from the audience, a mix of students and professionals, about the advancements in the industry for more diversity.